Do you need to host a corporate event for employees and their families but just don’t have the time or resources to organise it? Do you have a new product or campaign to launch and are looking for a unique way to promote it? Party Bliss can devise a proposal within your specified budget that guarantees to make your Corporate Event, Christmas Party or Promotional Campaign a resounding success bringing a smile to everyone’s face (including the boss!). 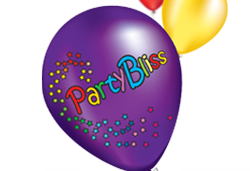 Party Bliss has a proven track record in organising events, providing an array of services and managing every detail in the run-up to and throughout the day itself. Health and Safety is paramount and Risk Assessments are available for each service we provide.